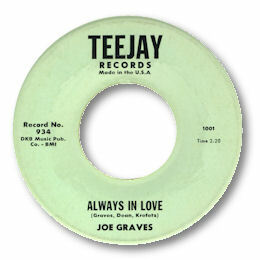 Although some of his other 45s have their moments – “Debbie” is a pretty good Philly dancer – his Rack and Tee Jay releases are head and shoulders above them. 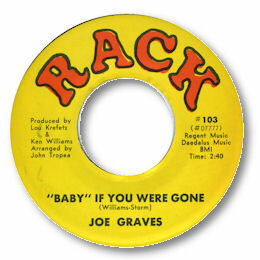 Baby If You Were Gone may just be too sweet to be considered a true deep soul item but the melody is strong and Graves phrases it superbly well. This was almost certainly cut in New York. But Always In Love is his best cut by some way. His high baritone vocals are particularly impressive but I also really like the chord structure of the song. And the spare horn chart works very well too.